The recent Health Affairs Blog piece by Chernew and Barbey (October 17, 2017) provides a helpful theoretical summary of the various ways ACOs might achieve savings—even if modest or still latent. But their analysis of the empirical literature, including the CMS innovations, gives us little confidence that even these small savings are real or will emerge. It is astonishing there is little or no critique of ACO studies’ limitations that generally bias the findings toward the apparent (but miniscule) savings. ACOs generally volunteer to participate based on their pre-existing capacity to “manage” care. These organizations are then compared to non-volunteer organizations that are less likely to game the system and are destined to perform worse than volunteers. 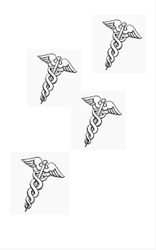 These studies fail to incorporate the costs of forming and maintaining ACOs. These creation and maintenance costs alone would alter the calculations and may sink them. It is no wonder the majority of Pioneer ACOs have dropped out of the program. It seems clear they were not saving money. In fact, the arrangement put Dartmouth Hitchcock—associated with the developer of the ACO concept—at financial risk. Other, similar studies (such as the Massachusetts’ Blue Cross/Blue Shield reports on alternative payment models), have similar methodological limitations, including volunteer bias and significant shifts in the participant population over time. While behavioral economics offers much promise and has already delivered exciting and useful policies, there are, to date, no responsible data that justify our current faith in ACO-like incentives for physicians to practice better medicine. It turns out that paying physicians extra income for things they were already doing (e.g., taking blood pressure), or charging patients with high cholesterol thousands of dollars more for their health insurance premiums does not improve chronic illness. Of course we should base policy and practice on research. But it must be methodologically sound research. Absent or untrustworthy evidence of treatment and policy benefits plus ignorance (or ignoring) of previous failures is not acceptable. Some policies encourage cherry picking (selecting only healthy patients) which can generate possibilities of patient harm. In addition to cherry picking, the crude application of economic incentives can backfire in other ways, such as changing diagnostic codes to maximize revenue, or keeping patients for “observation” in the emergency department to avoid penalties for re-admission with certain illnesses within thirty days, or post hoc documenting that patients entered a hospital with pre-existing community-acquired infections to avoid penalties for hospital-acquired infections. As a nation, we are understandably desperate to reduce our healthcare costs. But we continue to seek workarounds rather than systemic solutions. Other nations spend 40% to 50% less than the US on healthcare and yet have much better health outcomes. We need to confront the patchwork chaos of our insurance system (e.g., insurance companies spend about 15% to 25% on overhead whereas Medicare spends about 2%), subsidies for sugar- and fat-laden food, food borne illnesses enhanced by weak or non-existent inspections, and incompressible medication pricing. The authors give little consideration to other models that have made our cost control efforts appear feeble, such as some of the European multi-payer plans than control costs and cover virtually all their citizens. Even the puny effects of ACOs cited here are illusory. Ross Koppel, PhD, FACMI, University of Pennsylvania, teaches sociology, is a Senior Fellow at LDI Wharton, and is PI on several projects involving healthcare IT and cybersecurity. He is also professor of biomedical informatics at the University at Buffalo (SUNY). Stephen Soumerai, ScD, is professor of population medicine and research methods at Harvard Medical School.